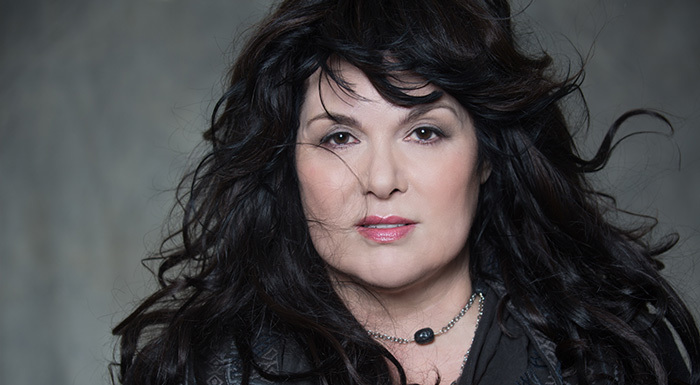 Ann Wilson is an American singer-songwriter best known as the lead vocalist of rock band Heart. She is often cited as one of the talented female singers in the history of rock music. She also plays flute and occasional guitar and wrote much of the band’s material with sister, Nancy Wilson. Ann Dustin Wilson was born on June 19, 1950 in San Diego, California. Her father was a colonel in the Marine Corps, and her mother was a housewife. Her family moved around a lot due to her father’s military career. She attended Interlake High School in Bellevue and joined a local band named White Heart in the early 1970s. After changing its name to “Hocus Pocus”, the band finally adapted the third and final name, “Heart”, in 1974. With Heart, Wilson recorded various hit albums and won moderate stardom throughout the 70s, 80s, and 90s. A few of them include Dreamboat Annie, Little Queen, Dog and Butterfly, Heart, Bad Animals and Brigade. Her duet with Mike Reno, “Almost Paradise”, was featured on the soundtrack of 1984 movie Footloose. The song became a big hit and charted at number 7 on the US Billboard pop radio charts. She recorded the power ballad “Surrender to Me” in 1988 – another duet with Cheap Trick singer Robin Zander, which was used on the soundtrack of the 1988 movie Tequila Sunrise. The song peaked at number 6 on the US Billboard pop radio charts. Wilson performed on the hit tracks, “Brother”, “Am I Inside” and “Love Song”, from the 1992 Alice in Chains EP “Sap”. She co-founded her own recording studio, “Bad Animals”, with her sister in the mid-90s. She released Hope & Glory, her solo album with the Rounder Records, in 2007. She possesses the vocal range of a coloratura mezzo-soprano. Ann Wilson received the ASCAP Founders Award with her sister, Nancy Wilson, during the 26th Annual Pop Music Awards in April 2009. Ann Wilson lives in Seattle, Washington. She is the mother of two adopted children; daughter Marie and son Dustin. She was in a relationship with Michael Fisher, the manager of Heart, during most of the ’70s.